Lagos State Governor, Akinwunmi Ambode has said plans are at advanced stages to generate constant electricity for residents of the state in 2018. 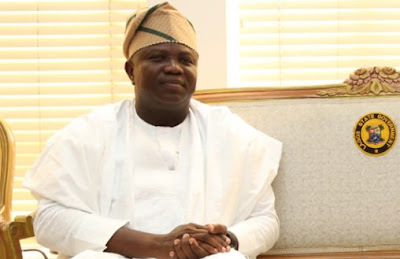 Ambode spoke at a recent interactive session with members of the business community and informal sector, a statement by the governor’s Chief Press Secretary, Habib Haruna, said on Sunday. “Presently, we have less than 1,000MW in Lagos and the fundamental issues remain with generation, transmission and distribution. Transmission is still owned primarily by the Federal Government. But in Lagos State, we have become creative and we have done Independent Power Project through which we were able to generate 47.5MW which was distributed short-circuiting transmission. “So, if it works, does it look like a template we can now use to get power freedom or what we call power security? If we say we are the fifth largest economy in Africa and we are not in control of how power is generated in an economy that wants to move from fifth to third, then something is wrong. “So, what we are saying is, let’s find a way to short-circuit them within the ambit of the law,” the governor was quoted as saying. Ambode noted that the state government was also talking with electricity distribution companies operating in the state to supply 24/7 power to residents at a higher tariff, subject to agreement of all stakeholders, while government would be the guarantor of the people.